On Guildford’s bustling high street the build up to Christmas is in full swing. The decorations are up, the Salvation Army band is playing and the shops are packed. Here in commuter belt land, the tills are ringing like there is no tomorrow. But a mere 20 minutes walk away, a fascinating heritage project recounts the time when, for some people, things were far less prosperous. 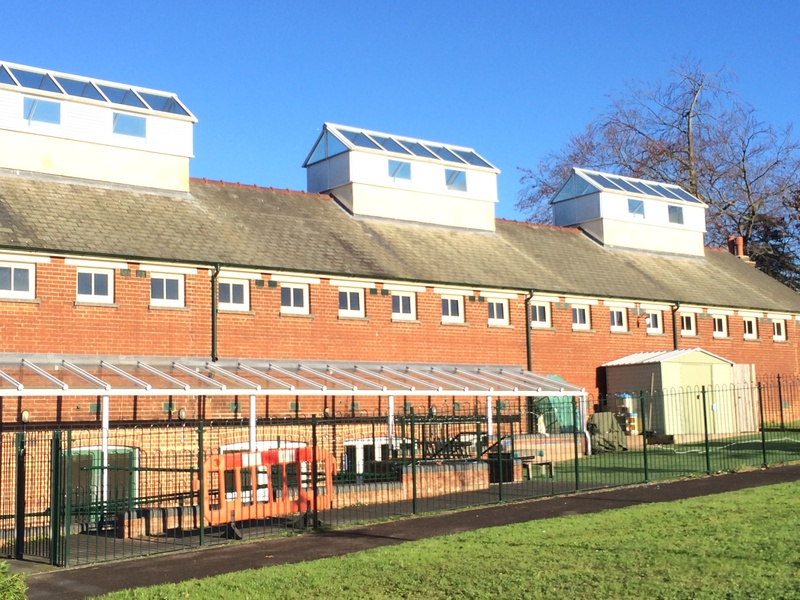 The Spike community centre was built in 1906 by Guilford Union Workhouse as a night shelter for vagrants – the lowest of the low. Society at the time tended regarded these tramps as idle rogues, who did not want to work, but in many cases that was not true. They often lived precarious lives, picking up odd jobs – such as labouring – which could have lasted just one day at a time and varied depending on the time of year. Visiting The Spike in Guildford at the weekend, I entered the same outside waiting room that vagrants would have sat in as they waited to register for their overnight accommodation. The shelter – like other Spikes – usually only took in tramps for one night at a time (and they couldn’t return for 30 days), before they were required to move on. I ring the bell outside the waiting room and take a seat. But rather than being greeted by a workhouse porter, I’m met by a friendly guide who – after needing to quickly drill a hole in the wall – shows me around. And bar a few volunteers setting up for an evening performance of songs from the musicals (hence the need for some impromptu construction work to create a stage), the place is deserted and I have a personal tour. We go outside and take stock of the site, which is now made up of modern housing set around a park, and use an old plan to consider what the area used to be like. The Guildford Union Workhouse was established in 1838 to house the poor, infirm and destitute following the Poor Law Amendment Act of 1834. This important legislation united groups of parishes – which individually had been required to collect taxes and support the poor since 1601 – into larger poor law unions run by Boards of Guardians. Hundreds of workhouses sprung up across the country, including the Guildford Union which steadily grew to numerous buildings, as a result of the Act. These institutions provided relief for the sick and old, but – as the name suggests – work for the able-bodied who hadn’t been able to secure employment elsewhere. Inhabitants were given food and lodging in return. But workhouses overlooked the most vulnerable members of society – some of whom had mental health difficulties – because Masters wanted to keep parish expenditure trimmed. 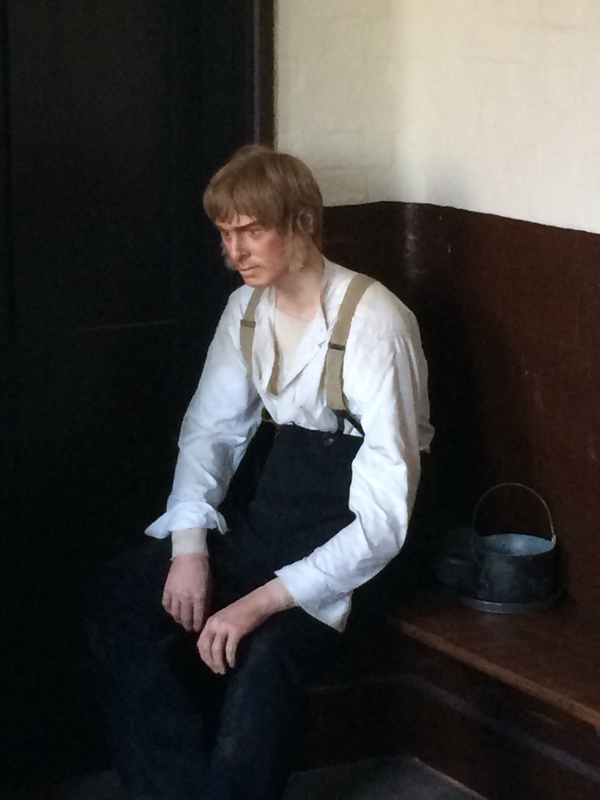 Those that did provide relief wanted to keep these vagrants (who were depicted as “filthy, crude and coarse, regularly in gangs, they drank, fought, cussed and swore”) away from others in the workhouses for fear of them spreading infection. In Guildford, they were initially accommodated in converted stables, for example. And then in 1906 a new purpose-built Casual Ward was opened, with separate sections for men and women. Before being given a meal, the vagrants would need to register and state where they had come from and where they were planning to go next. Well-trodden routes developed. The very room where registrations and medical checks took place – a space that would have been cramped if everyone arrived at the same time – is open to visitors and today shows a short film dramatising what life would have been like for those who stayed here. The Spike hasn’t been restored to one particular moment in time, so you get a broad understanding of its history. Baths were, at times, compulsory for new arrivals and often the water was re-used, so it must have become very murky. 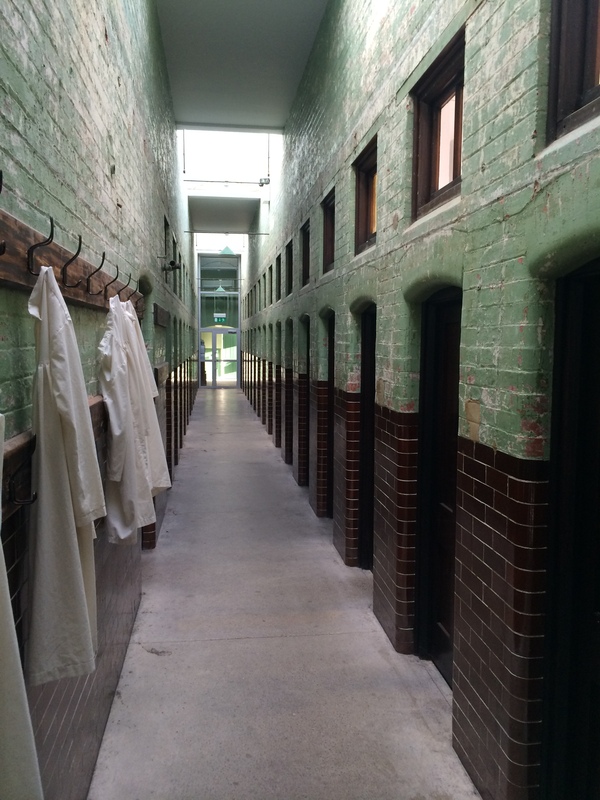 Visitors today are shown the freestanding tubs in the original bathrooms. After they had washed they were given clothes to change into for the night. Walking down the main corridor, it feels like you are in a prison. That’s because it was one. 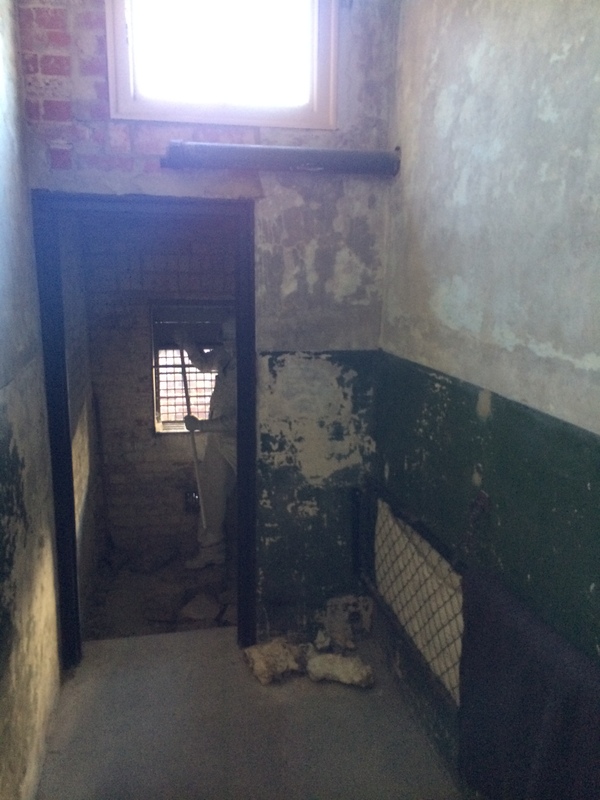 Vagrants were locked in individual cells – a strategy designed to put an end to the frequent disturbances that had come with having large groups in one room – and initially slept on the floor or on uncomfortable straw mattresses. Each had a spy hole so the Master could keep a check on the inmates. When I visited The Spike at the weekend, the heating was clearly on and the place felt warm, but operated as a Casual Ward it must have got pretty cold at night. Vagrants had to earn their keep before they were released in the morning, thus providing an incentive for workhouse Guardians to cater for this swathe of society. The chores often involved several hours of breaking stones for road building or chopping old wooden railway sleepers in work areas at the back of their cells. You can still see the iron grids where inmates would put the broken materials so they dropped straight into containers outside. Another task was for the vagrants to pick apart old rope (hence the phrase “money for old rope”) using a pointed tool or a spike. This explains the origins of the name for casual wards. Once inmates had completed their chores, they were off again to their next job and to another Spike (the two characters in the film I watched said they were going to Woking next). Individual cell at The Spike. Area at the back was for complusory manual work, such as stone breaking. The Spike in Guildford remained in use as a council run night hostel until 1962 and was then used for storage by St Luke’s Hospital (which had itself grown out of Guildford Union Workhouse). 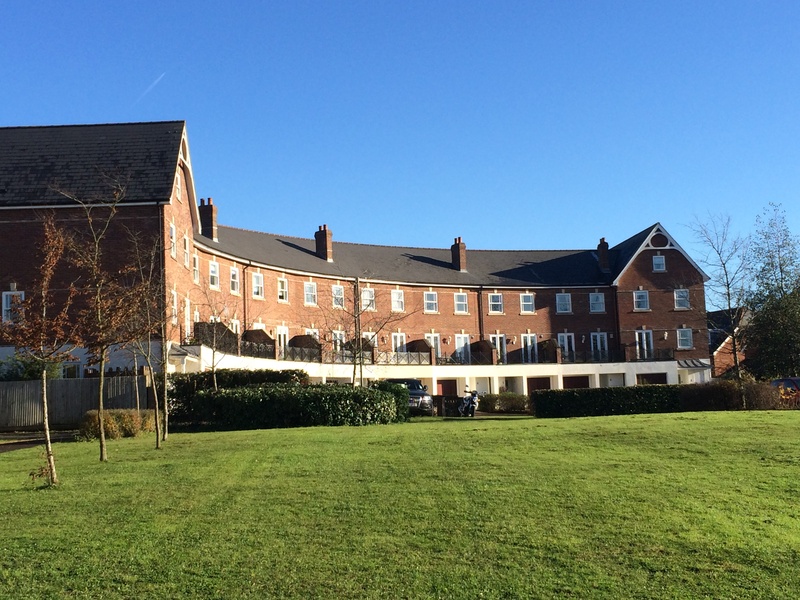 But in more recent years there were plans to turn the building into housing for key workers. That plan would have seen many original features ripped out, which would have been an absolute tragedy. And only a small number of the cells would have remained for visitors to see. Thankfully a group of dedicated group of volunteers battled to save The Spike and, in 2008, it was opened to the public for visits. Most of the original building remains intact, although some of it has been converted into rooms which can be let out to provide a vital source of revenue and therefore helping keep the project alive. Sadly, however, while Guildford’s busy high street is showing signs of prosperity, away from the busy shops, bars and restaurants some people still do still leave precarious lives and homelessness remains an unsolved problem. The Spike is open for guided tours every Tuesday and Saturday from 10am to 4pm (the last tour starts at 3:30pm). For more information click here.